Wow! I honestly can’t believe how easily the defense was permitted to present evidence that information was planted on the defendant’s computer. In a controversial case in Missouri, Russ Faria is being tried a second time for the murder of his wife, Betsy Faria. Faria was convicted in November, 2013 and sentenced to life in prison for first degree murder. His trial was very similar to Brad Cooper’s in that his defense case was blocked by the judge. The defense wanted to present evidence of an alternate suspect – Pam Huff, but the judge refused to allow the defense to question her about certain things and much like the Cooper trial, the jury remained in the dark about important facts. Pam Huff had motive – she convinced Betsy to sign her life insurance policy over to her a day before Betsy was found dead, stabbed 55 times. Pam told police she dropped Betsy off at her house but never entered, yet her cell phone pinged near the Faria’s house long after the time she allegedly left the neighborhood. Police never investigated her as a suspect. Faria had an airtight alibi. At the time of the murder, he was with three friends for their weekly game night. The friends all testified that Russ was with them during the window of time when the murder would have occurred. However, as prosecutors often do, they presented “could haves” to the jury. They suggested that Russ was not actually there and that his friends covered for him. Instead of following the evidence that implicated Pam Huff, they opted to pin it on the husband, ignoring facts of his innocence. Thankfully a new trial was granted earlier this year. Here is the most interesting part when comparing this to the Cooper case. It was just revealed in the second trial that a Word document was planted on Faria’s computer. Defense expert, Greg Chatten testifed that the document was planted on the machine five days before the murder. The evidence was irrefutable. Defense expert Greg Chatten showed evidence the letter was planted and saved on a Wi-Fi called “The Club” – five days before the murder. Chatten said it was the only document on that laptop showing up as “author unknown.” He added that it was drafted in Word ‘97 format, but Word ‘97 was not on the Faria computer. “It would be impossible for that file to be created on that computer,” Chatten said. This is exactly like the computer evidence in the Cooper case – easily shown to have been planted on the machine, but the jury would never hear it. I believe Faria will be acquitted this time and hopefully the real killer will be held accountable. More information about this fascinating case can be found here. 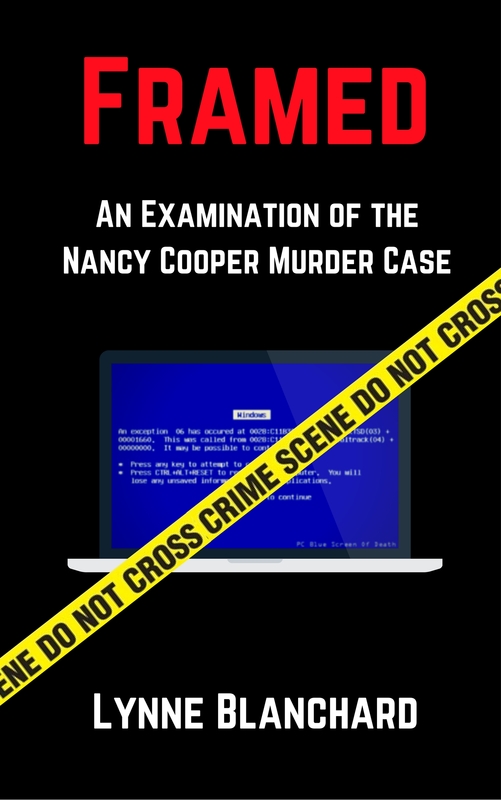 Learn all the facts about the Cooper case in my new book, Framed With Google Maps. This situation is far more prevalent than people realize. Until it takes place in a person’s life-there is no actual recognition of the real problem. If only people paid as much attention to the “judicial” system as they do sports. A word 97 document can be generated by various versions of microsoft word, a user is given the option to “save as” and can select a word 97 version.